The obsession lives on. 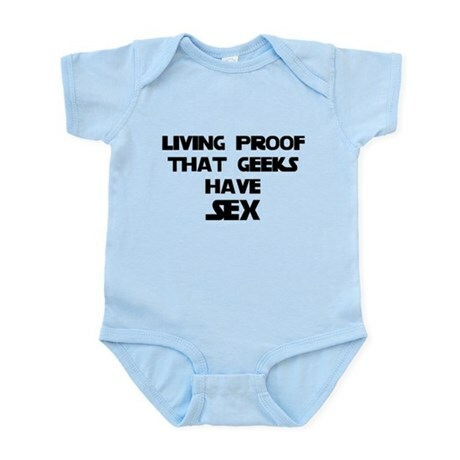 Last night while having the urge to shop I went to look for nerdy baby clothes online. ThinkGeek still has some fabulous stuff, but I already wrote about theirs and there’s nothing new, so this time I hit up Cafe Press. Please share in my squeals (and if you would like to purchase any, just click on the photo to link to the product). 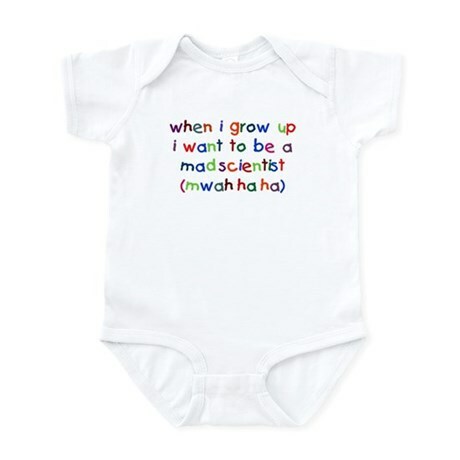 The “mwahahahaha” in baby print does me in. The joke never gets old to me! *giggles* And I can get away with it because the hubby is an engineer and I used to be! 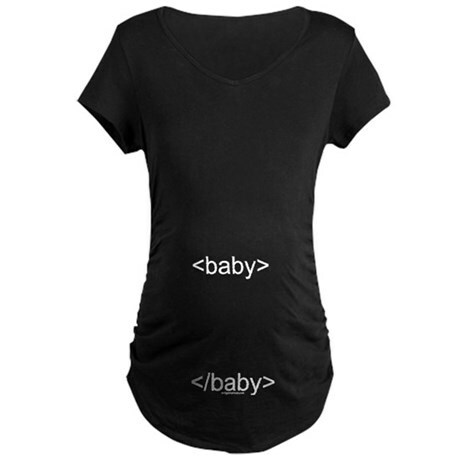 HTML jokes: you never, ever run out. 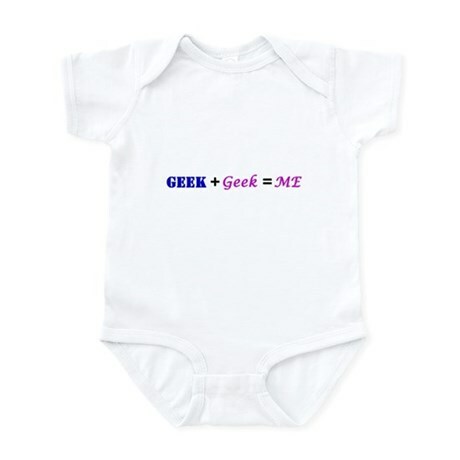 What geeky baby goodness have you found?